Sorry for the time away these past two weeks, I’ve been struggling to balance between my life in squares and actually embracing the present. Sometimes I think I spend too much time in the digital space, knocking away at my keyboard and conversing with teams I’ve never even met, but in other news I finally had the chance to meet some of you at the Tiffany & Co. pop up a few days ago and put a face to your usernames. Truly, it was really great, and I am so damn humbled. So when I’m not swaying away in organza tops and crazy wide-leg pants, I am usually found in some crop top or bandeau to beat the heat, and of course I still love a good flare. 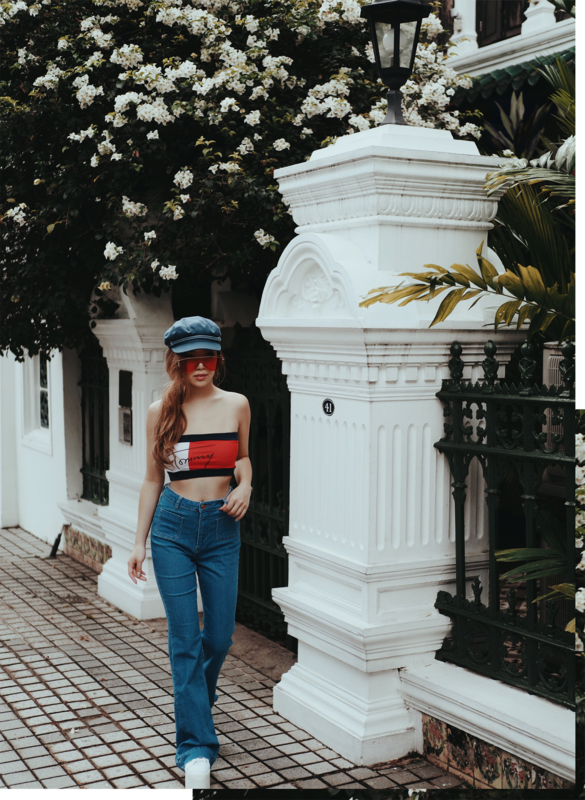 All the more when it’s denim on denim, like this fiddler newsboy cap from Shopbop (from now till 26th Nov, receive 20% off orders of $200+, 25% off orders of $500 and 30% off orders of $800 with code MORE17). And heads up: it’s Black Friday week so make sure you cart out quick!